Joe Bielitzki currently works as a consultant for the food and pet care industry and serves as the Attending Veterinarian for the International Space Station with NASA. 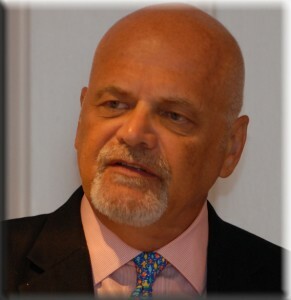 He serves as the Science Advisor to the Washington DC based law firm of Ott, Bielitzki and O’Neill. Prior to this position he worked at the University of Central Florida, where he Chaired the IRB and coordinated the human research protection program. Dr. Bielitzki served as the Associate Director of the NanoScience Technology Center at UCF. He also served as the Attending Veterinarian at the Sanford-Burnham Institute for Biomedical Research, in Orlando. He worked in industry as the Chief Operations Officer for LensAR, Inc., a biotechnology firm developing laser surgical methodology for ophthalmology. Before moving to Florida, he was the Chief Veterinary Officer at NASA and as a Program Manager for the Defense Advanced Research Projects Agency (DARPA). Joe worked in the National Primate Center System providing veterinary care and research input for 15 years. He has worked in government, academia, industry and private practice. Dr. Bielitzki’s interests include developing novel research and clinical approaches to biomedical and science problems, ethics in biomedical research, and primate medicine. He has served on numerous IACUCs during his career and speaks frequently on ethical issues and animal use. He remains active in the International Primatological Society and is involved with a number of great ape conservation projects in Central Africa.